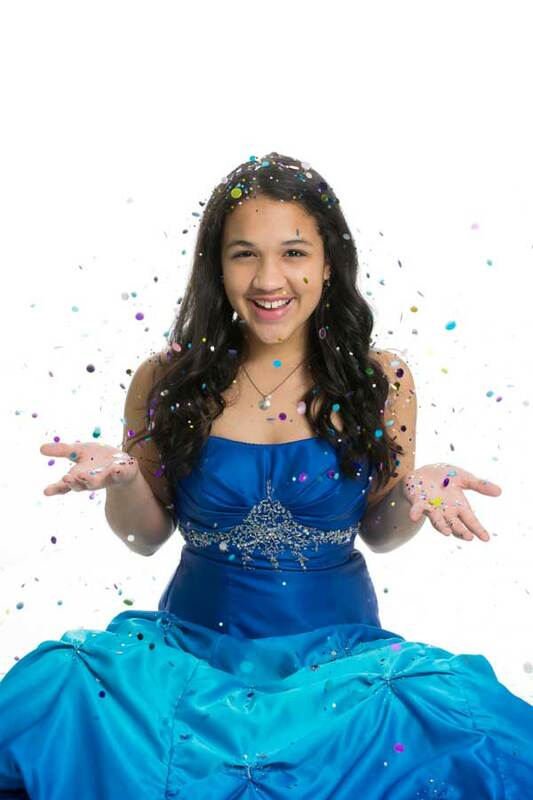 When girls reach the age of fifteen, a Quinceañera is often thrown. It is the celebration of her transition into womanhood, and has its origins dating back many centuries, mainly in Mesoamerica. In the past, rites of passage were far more common, and a Quinceañera is just one of these rites. Quinceañera essentially means “fifteen-year-old”. At the age of fifteen, women are often taken aside from other children, so they can learn their future roles as wives, mothers, and what this entails for their role in the greater community. While the customs and traditions of a Quinceañera date back longer than we know, we can reasonably say that the elements of Quinceañera were crystalized during the presidency of Porfirio Diaz between the years of 1876 and 1911. Porfirio was historically enthralled by Europe and its customs, and many of the elements that go into the modern Quinceañera were adopted from European customs and traditions. This rite of passage wasn’t just about the woman either – members of the community expressed their appreciation for the important role the woman would be fulfilling in the years to come through lavish celebration. Jazz – This form of dance is highly dynamic, so much so that it often incorporates numerous other forms of dance within it. Tap – A form of dance that puts emphasis on the sound of tap shoes striking the dance floor, a tap dance performance can make for a spectacular and exciting display. Ballet – A dance form dating back to the 15th Century Italian Renaissance, and later developed into a concert form throughout France and Russia, this kind of dance demands a lot of physical and mental energy from the dancers. Ballet is often associated with a sense of refined, cultured beauty. Vogue – Dating back to 1980’s, with roots going all the way back to the 1960’s Harlem ballroom scene, this dance form was brought into the mainstream by Madonna. Vogue continues to develop and evolve to this day. A Quinceañera is a lavish party, involving decorations and plenty of festivities. However, it begins with what is known as a Misa de Accion de Gracias, essentially meaning “thanksgiving mass”. It is at this time that members of the community give thanks for the former girl having made her transition into womanhood. Afterward, the party begins in the banquet hall, where young men perform choreographed dances with her, piñatas are broken, and flowers are presented. Finally, she is given the la última muñeca, or “last doll”. The reason being that she is now too old to be playing with dolls, and she thus passes the doll onto her younger sister, or closest younger relative. Of course, no party would be complete without cake, and the cutting of a multi-tiered cake usually marks the end of the festival.